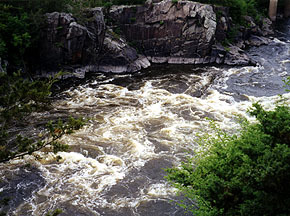 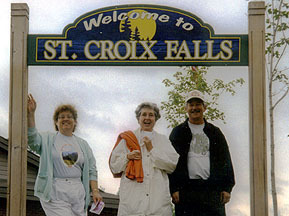 The walk started at the St. Croix Falls visitor's center. 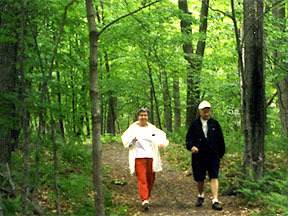 Most of the walk was on nature trails. 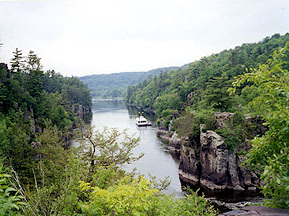 A paddlewheeler on the St. Croix River. 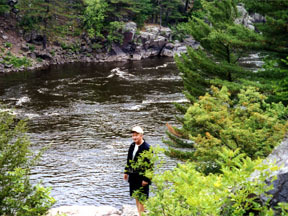 Ed taking a closer look at the river (which flows North). 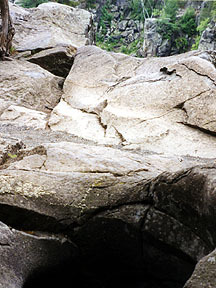 A hole in solid rock caused by a whirlpool in the river.